Home > Health Conditions > What’s the Best Diet for ADD/ADHD? What’s the Best Diet for ADD/ADHD? Many parents may have children with attention deficit disorder (ADD), hyperactivity disorder (HD), or a combination of the two with attention deficit/hyperactivity (ADHD). Life can be very difficult for parents, teachers, and the children with ADD/ADHD. 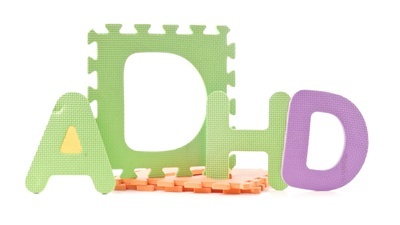 The key is actually recognizing whether or not your child has ADD/ADHD. In the U.S., three to 10% of children have symptoms, which result in a diagnosis of ADHD. While a child may exhibit the symptoms, there may actually be other factors at play. Often, Ritalin (methphyenenidate) is prescribed to treat the condition—in fact, in 2008, American physicians wrote over 39 million prescriptions for the drug. The problem is medical physicians fail to take into account the environmental factors such as food allergies, pollen, dust, molds, chemical pollution, nutrient deficiencies, heavy metals (mercury, lead, or aluminum), or hypoglycemia. During hypoglycemia, there may be symptoms of agitation, anger, hostility, hyperactivity, irritability, or the inability to sit still and concentrate. Food allergies are also known to produce symptoms of aggression and lack of alertness. Children that display these symptoms of both hypoglycemia and food allergies, may be wrongfully diagnosed as ADD/ADHD. ADD/ADHD can also affect adults and cause problems with their career, relationships, and other things important to them. Symptoms of ADD/ADHD may include disorganization, forgetfulness, hyperfocus, and they may be absorbed in tasks that are stimulating or rewarding. This could include the tendency to procrastinate, being chronically late, and forgetful. How do you offset your ADD/ADHD symptoms with your diet? Here are a few diet strategies to help treat ADD/ADHD and its related symptoms. ADD/ADHD symptoms may be disguised as a food allergy. The best place to start is the multiple food elimination diet where you would eliminate every common allergenic food from your diet. The most common food offenders include milk and dairy products (cheese, yogurt, ice cream, lactose, and casein), soy, corn, peanut butter, wheat (bread, cake, cookies, baked goods), yeast, gluten, eggs, tree nuts, citrus (orange, lemon, lime, and grapefruit), cane sugar, tomato, chocolate, fish, and shellfish. It is also wise to eliminate caffeine, alcohol, and processed foods (artificial food additives, food coloring and preservatives). The process typically takes 21-28 days. You would reintroduce an eliminated food item with a quarter to half cup of the item every four hours. Any reactions should be recorded. The Feingold diet was developed by Ben F. Feingold, M.D., and it treats hyperactivity. The diet removes sugar, artificial colors and flavors, preservatives from the diet, and also certain salicylates, including almonds, apples, apricots, berries, cherries, cucumber, currants, oranges, peaches, peppers, plums, prunes, and tomatoes. The program allows for all other fruits and vegetables, breads, cereals, and crackers that contain only rice and oats. A high protein diet is also part of the Feingold diet, which is known to reduce hypoglycemia, and ADD/ADHD is viewed as hypoglycemia in disguise. The Feingold diet also includes coldwater fish like salmon, herring, and tuna (once a week). Dr. Sidney Valentine created the specific carbohydrate diet (SCD) with the purpose of healing digestive disorders. The SCD concept evolved further with Dr. Natasha Campbell-McBride developing the gut and psychology syndrome diet, which relates to digestion, immune system disorders, and adults or children with behavioral and learning disabilities. The SCD was originally meant for severe gastrointestinal problems (Crohn’s disease, ulcerative colitis, irritable bowel syndrome), although later become useful for treating autism, dyslexia, speech and language delay, and ADHD. During the SCD, all complex carbohydrates and polysaccharides (lactose, sucrose, and starch) are eliminated, which minimizes undigested carbohydrates from entering the lower portion of the intestines. It is best to eliminate all grains, canned vegetables, sugars, starchy vegetables, canned and processed meats, dairy, canola oil, commercialized condiments, and candy and chocolate. Vegetables (except canned), legumes (except chickpeas, bean sprouts, soybeans, mung beans, fava beans, and garbanzo beans), unprocessed meats, poultry, fish, and eggs, natural cheeses, homemade fermented yogurt, fruits and juice (without additives), oils (olive, coconut, soybean, and corn), weak tea and coffee, unflavored gelatin, saccharin, mustard and vinegar are all allowed. Only monosaccharides (single molecule sugars) are eaten like glucose, fructose, and galactose. When gut flora levels are stabilized, man-made ingredients, toxins and irritants from undigested food are reduced, thereby eliminating inflammation. Overall, there is a lot you can do when you or your child has ADD/ADHD on a nutritional level. Some supplements may also help for people with ADD/ADHD. Calcium and magnesium help produce a calming effect in the body. Essential fatty acids with an adequate EPA/DHA ratio help with brain function. Also, probiotics will help with the healthy gut flora, increase the immune system function, and reduce any allergens. The herb ginkgo biloba is also effective for concentration and brain function. The Institute of Holistic Nutrition, Nutrition Through the Life Span — Course Notes, Toronto, 2014, p. 184-201. “Feingold diet,” Wikipedia, the free encyclopedia web site; http://en.wikipedia.org/wiki/Feingold_diet, last modified April 5, 2014. “Adult ADD/ADHD,” Guide.org web site; http://www.helpguide.org/mental/adhd_add_adult_symptoms.htm, last accessed April 5, 2014. “What is the Feingold Diet?” Feingold Association of the United States web site; http://www.feingold.org/what.php#.U0KqHsesg4A, last updated Nov. 3, 2013. “Natural Digestive Healing,” The GAPS Diet web site; http://www.gapsdiet.com/, last accessed April 7, 2014. “Remove Intestine Bad Bugs with the Specific Carbohydrate Diet,” Natural Alternative ADHD Treatment web site; http://www.natural-alternative-adhd-treatment.com/specific-carbohydrate-diet.html, last accessed April 7, 2014. Zelman, K., “Specific Carbohydrates Diet: Diet Review,” WebMD web site; http://www.webmd.com/digestive-disorders/features/specific-carbohydrate-diet-review, last accessed April 7, 2014.